Democratic members of Congress today put forward legislation to reinstate rules upholding the principle of net neutrality. 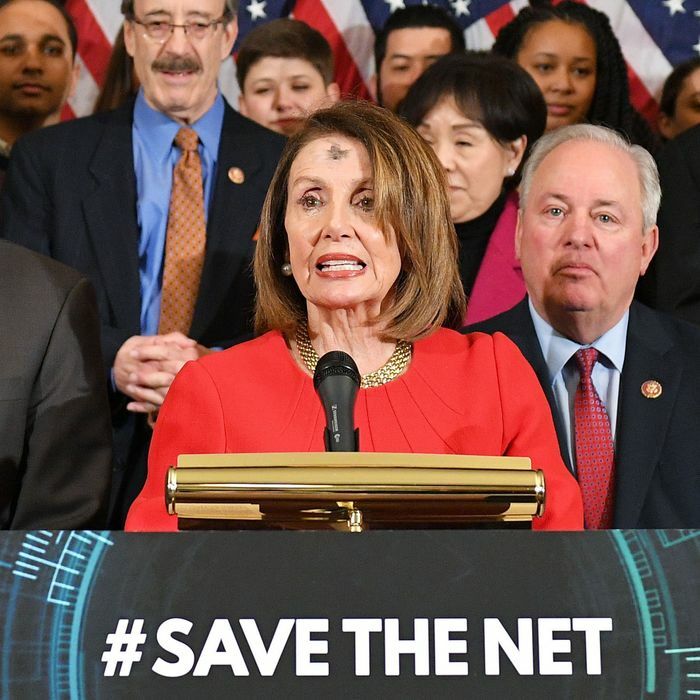 The Save the Internet Act of 2019 is a brief piece of legislation that restores the Democrat-controlled FCC’s Open Internet Order of 2015, and throws out the Republican-controlled FCC’s 2017 undoing of said regulation. Net neutrality is a longstanding guideline of the internet that prevents service providers from playing favorites. Net neutrality rules prevent ISPs — home providers like Comcast as well as mobile providers like Verizon — from blocking access to lawful online content, and from building bandwidth tiers so that some sites would transmit data faster than others, with the aim of directing more traffic to faster-running sites. An overwhelming number of Americans support net neutrality: 83 percent, according to a poll from the University of Maryland, including 75 percent of Republicans and 89 percent of Democrats. Last year, Congress tried to use the Congressional Review Act to stop the FCC’s rollback of net neutrality protections. The bill passed in the Senate but failed in the House. The Save the Internet Act mirrors the CRA legislation and will likely pass the House, which has a Democratic majority. Whether it will pass in the majority-Republican Senate is less certain, as is whether or not President Trump will even sign the bill into law. Some members of Congress are working on other pieces of legislation governing net neutrality — ones that prevent ISPs from throttling or blocking traffic but stop short of classifying broadband as a Title II utility subject to FCC regulation.